China's People's Liberation Army Air Force recently conducted combat training involving three types of its most advanced fighter jets, carrying air-to-air missiles, which a Chinese expert called a perfect combination. China's most advanced stealth fighter jet, J-20, conducted joint training with multi-role strike fighter J-16 and multi-role fighter jet J-10C, engaging in air defense penetration drills, China Central Television (CCTV) reported on Thursday. The fighter jets used domestically developed mid-range air-to-air missile PL-15 and short-range air-to-air missile PL-10 in the training, Beijing-based news website Sina reported on Saturday. "The three fighter jets… and the two missiles are perfect combinations," Song Zhongping, a military expert and TV commentator, told the Global Times on Sunday. The J-20 is capable of destroying a hostile air defense system. The J-10C can then take air supremacy, while the J-16 can strike enemy ground forces, Song said, adding that using the PL-15 and PL-10 together can cover both long-range and short-range aerial combat. "The combination will serve as an important aerial deterrent against external forces," Song added. 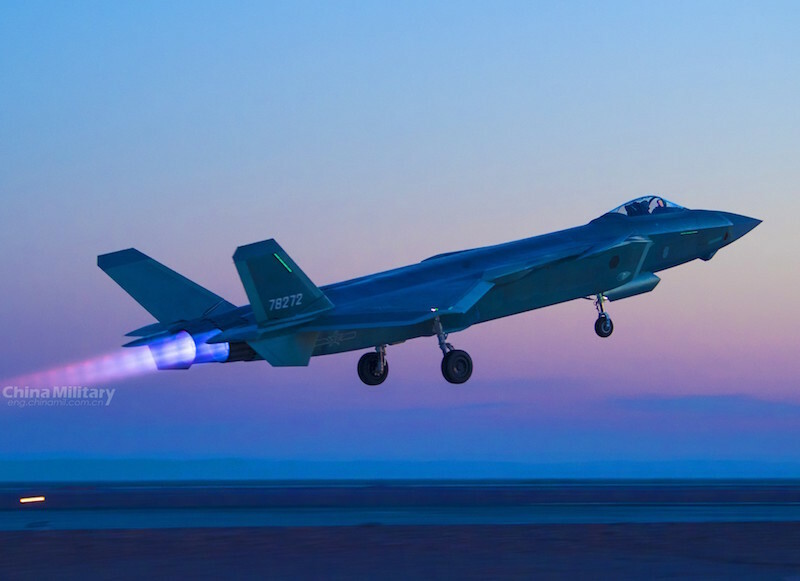 China's domestically-developed J-20 stealth fighter recently took part in a nighttime training exercise with J-16 and J-10c fighters in an effort to further improve the combat capability of China's air force, the People's Liberation Army Air Force (PLAAF). During the exercise, the J-20 pilots used their aircraft's advantages in terms of situational awareness and stealth to gain air superiority, while the J-16 and J-10c fighters carried out precision strikes on ground targets. The training sought to take full advantage of the different capabilities of the fighter jets, said He Xing, a pilot with the PLAAF. The J-20 stealth fighter made its maiden flight in 2011. A unit of three jets made an appearance at the military parade to mark the 90th birthday of the People's Liberation Army last year. The chief designer of the J-20, Yang Wei, said peacekeeping needs not only defense, but also offensive capability. The J-20 jets are a major part of efforts to modernize the PLAAF. China’s self-developed J-20 stealth fighter jets recently conducted cooperative combat training with J-16 and J-10c among other fighter jets, boosting the air force’s combat strength, Xinhuanet.com reported on June 1. During the training, the J-20 jets first took control of the airspace while the J-16 and J-10c jets conducted long-range precision strikes against ground targets. He Xing, an air force pilot, noted that they aim to give full play to the strengths of different fighter jets throughout the training. “The training will help the air force better fulfill its sacred duty of safeguarding China’s sovereignty, security and territorial integrity,” said Shen Jinke, spokesman for the Chinese People’s Liberation Army Air Force.